How do the digital era affect the value proposition of Headhunters? In September 2015 on Linkedin Pulse the not-so-new debate over the usefulness of headhunting in the era of digital innovation found a new fortune. We thus decided to stop and think on it and to take this as an occasion to renew awareness of our role and re-write our value proposition. Almost in coincidence with the beginning of the 21st century, professional social networks started to spread across the web, thus reducing the distance between potential employees and employers. With the increasing competence in both professionals and HR people at using technology, recruitment and headhunting companies started soon to wonder about their own added value and specific role during a search and selection processes. Is headhunting being made obsolete by artificial intellingence? According to a Harvard research (reference), headhunting is getting obsolescent in the age of digital innovation. Firstly, due to the disintermediation and the consequent reduced distance between employees and employers. Secondly, a cause of reduction of the value of headhunting is the increased fluidity of the job market: millennials (people born in the last two decades of the 20th Century) tend to change job quite often and companies usually do not pay headhunter for the increasing number of search missions. 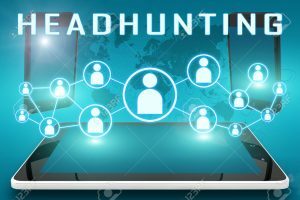 While these points should certainly be taken into consideration, reflecting actual trends, the research also suggests a third reason for headhunting obsolescence, which honestly sounds a bit exaggerated. It seems in fact that the software now made available online, that match candidates’ features with those of the ideal candidate will, on the long run, replace human factors in screening people and will weaken and empty headhunters’ role and specific contribution. However, even as software and artificial intelligence becomes more omnipresent in the service industry it can be critically discussed to which extent the translations of human behavior, and relevance in relation specific job requirements, can be reduced to a complex set of algorithms. Who haven’t experienced how a strong CV didn’t provide a candidate who in the long term, matched with the company for intangible reasons that only a direct critical interview could reveal? Neuroscience also teaches that during an intersubjective encounter, a special class of neurons in our prefrontal cortex gets activated (mirror neurons), which trigger a unique resonance between interacting human beings. In this resonance, a lot of hidden information about other people emerge, thus allowing us to have a deeper understanding of the person we met and of whether or not they may fit with our customer’s needs and expectations. Headhunters may support HR Managers in giving the hiring managers better insights over relevant industry and talent. Due to their background and experience with many customers and candidates, headhunters often know more about the specificity of an industry and the content of the job role for which they are doing a search. Thus, they may be a highly competent interface for hiring managers who whishes to be benchmarked within the industry. Great headhunters specialize in general relationships, while HR Mangers often are specialized in one-way contribution to their internal Customers (the hiring managers). Relationships create investment and trust over time. This is why companies may prefer consultants to support HR managers, who are less used to double-way relationships and to involve their internal clients (i.e. the hiring managers themselves) in the hiring process. Headhunters are still one of the primary sources when confidential searches are at issue. When considering senior positions, the network, expertise and level of professionalism of consultants may be more extensive and overcome the resources offered within company HR. By resorting to their professional contacts, their influence and persuasion skills, their deep and sometimes direct knowledge of what a senior management position entails, consultants may conduct confidential searches faster and achieve better results with a smoother process. All of this said, it’s crucial that headhunter improve the ability to use the most updated technologies to maximize effectiveness, in terms of search and selection skills. Secondly, we should be aware that nowadays, with the greater accessibility of information, we should perceive and sell ourselves as real partners of our customers, available to share our know-how. It is out-of-date the image of a headhunter who can defend his own knowledge and offer a service to someone who, otherwise, has not access to the information and resources they need. Finally, we believe that being professional and working with high standards of deontological ethics can still provide an added value that companies may need to buy from the market. If we prove able to conduct standardized, objective and non-partial evaluations of potential human resources, thus ensuring that search engagements are conducted at a high-quality level and ensure meritocracy of decisions, we may serve well our customers and concretely add something to what the sole technology may offer.